After two months of intensive concertation between our 8 cooks and their 3 leaders, Paul, Rudi and Dedi, the babies were born in top form! 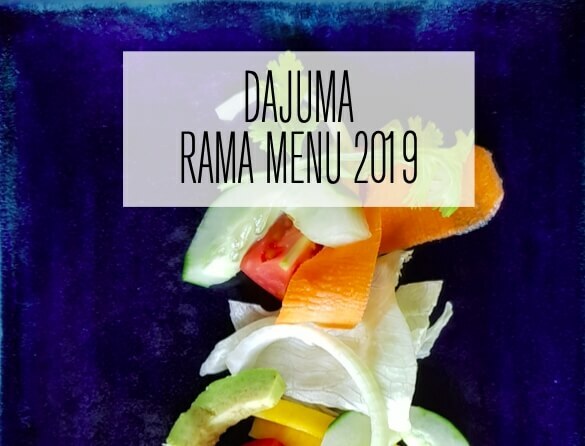 Three menus were hence created for our Rama, Shinta and Bendega restaurants. Very varied and full of inventions, they give an increasingly important place for vegetarian dishes and local specialties. Each dish has been deeply evaluated in terms of freshness, texture, taste and presentation. Moreover, everyday, a dish-of-the-day is proposed to our guests, which recipe is decided very early in the morning depending on the market. A 4 stars food and service – at very affordable prices – in a magnificent set-up that, we hope, you will enjoy! Selamat makan!